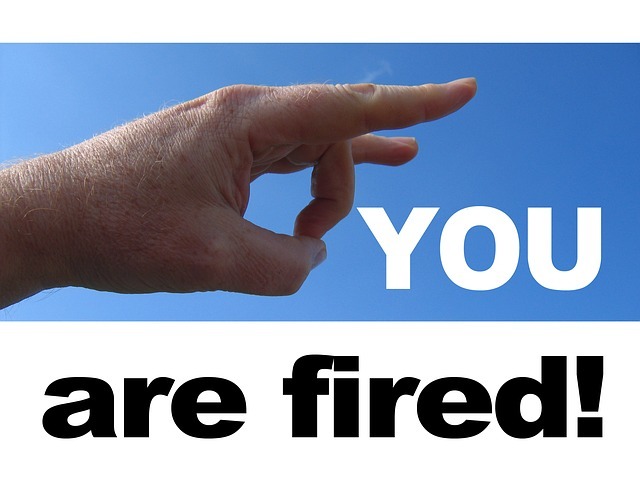 Have you been laid-off or fired after age 45? If not you, then 9 out of 10 chances you know someone who has had this experience. I have recently coached three baby boomers who have been faced with unemployment and I thought sharing the advice I offered might be helpful to others. Devastation! Anger! Embarrassed! These are words my clients used to describe their situation. One literally pulled the covers over her head, unwilling to be moved. Another cried for nine straight days. The other client was so angry that it took him far to long to get past the anger and negativity, but finally, he made the transition. Here was my advice. Apply for Unemployment – If you are eligible, you will want to do this right away. Often there is a delay in the processing of applications so the sooner you complete the process, the sooner you can access benefits. 30 Days of Self Pity – Select the number of days you feel you need to stew in your feelings. 30 days, however, is your limit. During this time, talk about it, call names, sleep all day, eat too much or do whatever you want. Once you complete your days of self pity, make a plan to move on. Let it Go and Forgive- You must get passed the boss who was unfair and the co-worker who threw you under the bus. It’s over now and time to move on. I have seen these dark days turn into sunshine when you turn your attention toward the future. Remember forgiveness is more about being free than freeing the person who did you wrong. Decide to be Positive – Although it is easier said than done; yes, you can control your moods with a decision. No matter what, you must know that you will find another job or maybe start a successful business. Employers and clients can sense confidence and a positive attitude right away; it is very attractive. Tell Everyone You Know – It is amazing how we are all connected. By telling others that you are looking for opportunities, you open the flood gates of possibilities. Person A may know someone who’s cousin plays golf with the husband of the woman you need to meet. Identify Lessons Learned – Pain is a powerful teacher. Ask yourself if you could do anything differently at work? How can you prepare so that this never happens again? What were the aspects of your job that you loved and what do you want to avoid in the future? Identify Your Core Skills and Attributes – You can use these to make money while you look for a job. Use the Baby Boomer Income Generator Assessment to help you. Understanding your value and your possibilities will help you as you begin your job search. Consult with a Career Counselor – Find someone who has experience working with seasoned workers. Use their tips about sprucing up your appearance and eliminating dates from your resume. Join a Job Seekers Group – These groups are springing up all across the country and can help you sharpen your resume, practice interviewing skills and help you develop a compelling career story. Have Some Fun – Looking for a job typically isn’t a fun activity. However, you must keep your spirits up and the motivation high. Reward yourself for your accomplishments. Got the resume polished, treat yourself to breakfast; applied for seven positions this week, take a hike in the woods; contacted the Small Business Administration to explore starting a business, go see a fun movie. It is important to recognize and celebrate every little victory to help keep you moving forward. Click here to learn more about Angela Heath and TKC, Incorporated.